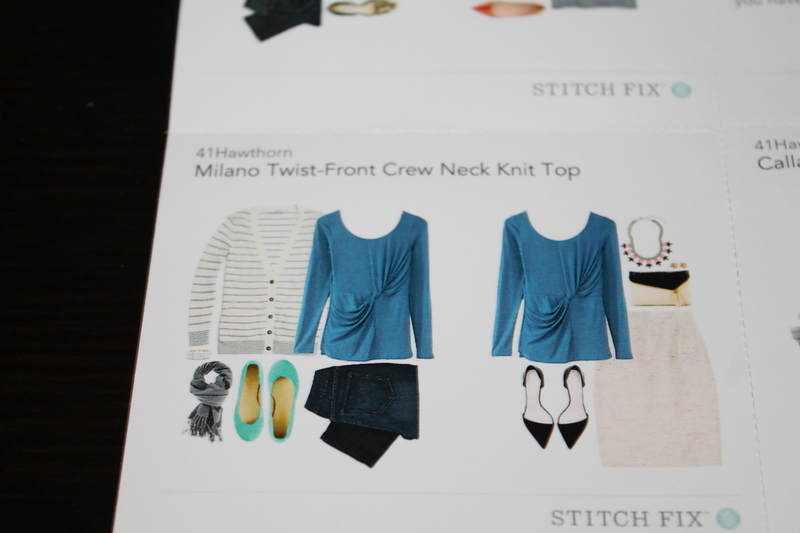 Because of the mix up with Stitch Fix losing my first fix this month, then it miraculously showing up, I ended up with an extra bonus fix this month. Here’s what I got. 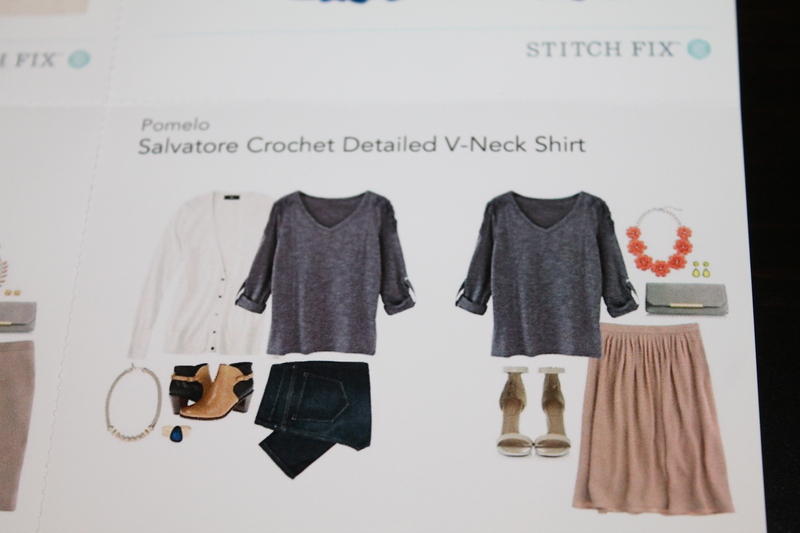 This is a cute casual top, but I don’t see it being good for layering since there is a ton of crochet detail on the upper arm which looked weird under a cardigan. (It bunched up horribly.) 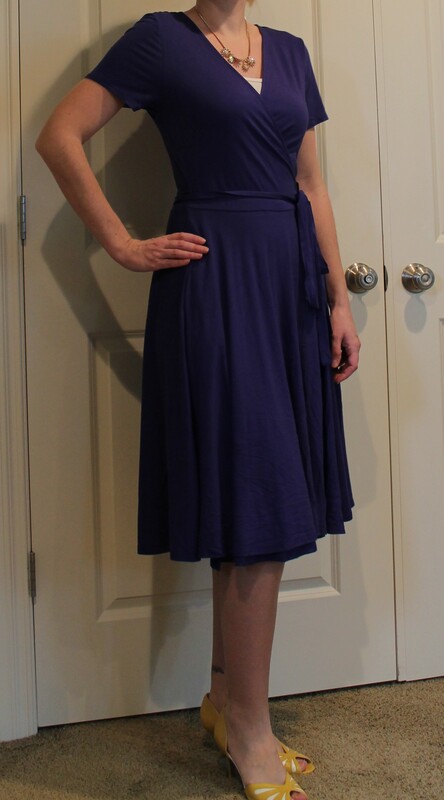 By itself it is nice for warmer weather, and I can see myself wearing this with jeans and tennis shoes on a weekend. 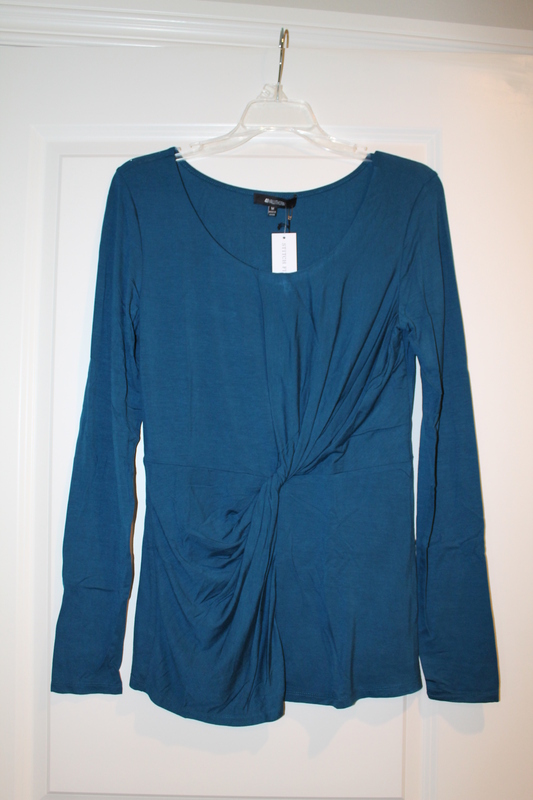 I felt it was a bit pricey for just a casual tee, but I liked the color and with the discount decided to keep it in the end. 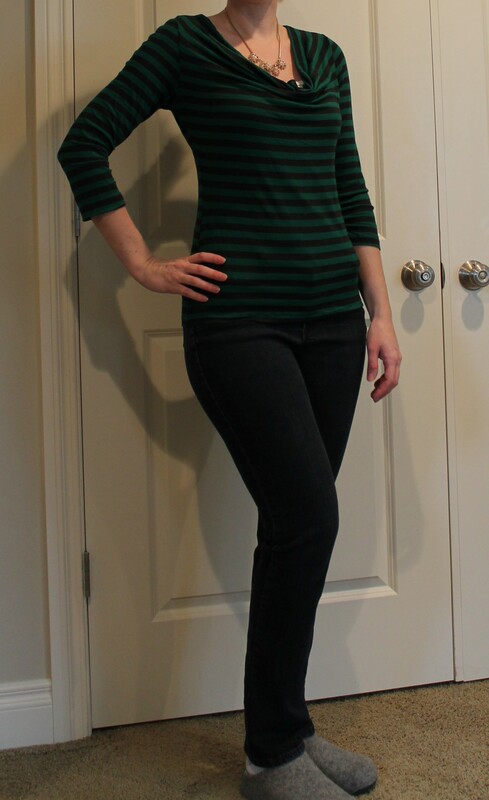 By itself I didn’t really care for this top because it showed every lump and bump of my jeans (and the fitbit I am wearing), but when I added a layer on top it was better. 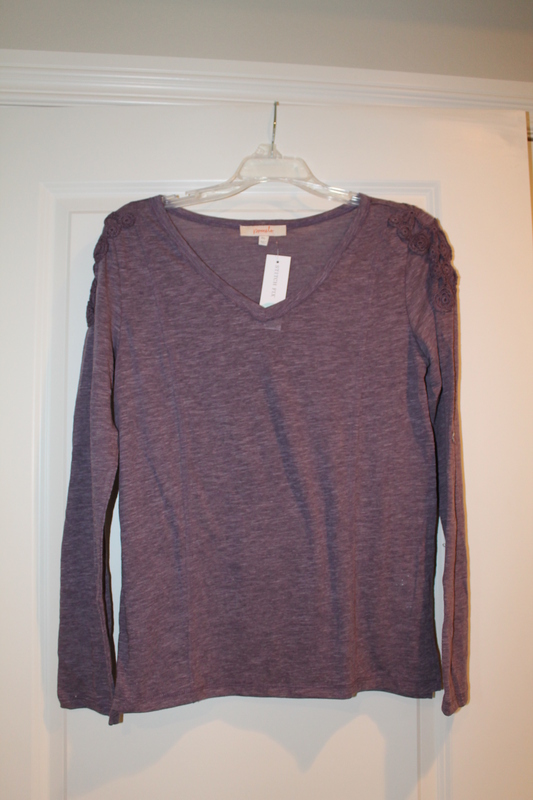 The fabric is incredibly soft and stretchy and I liked the color. 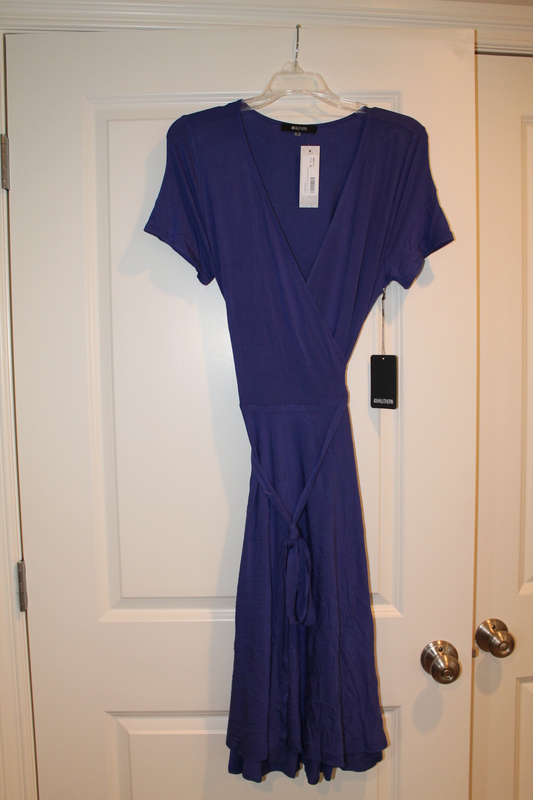 This was one item I was hesitating about but ultimately decided to keep. I really liked this top. 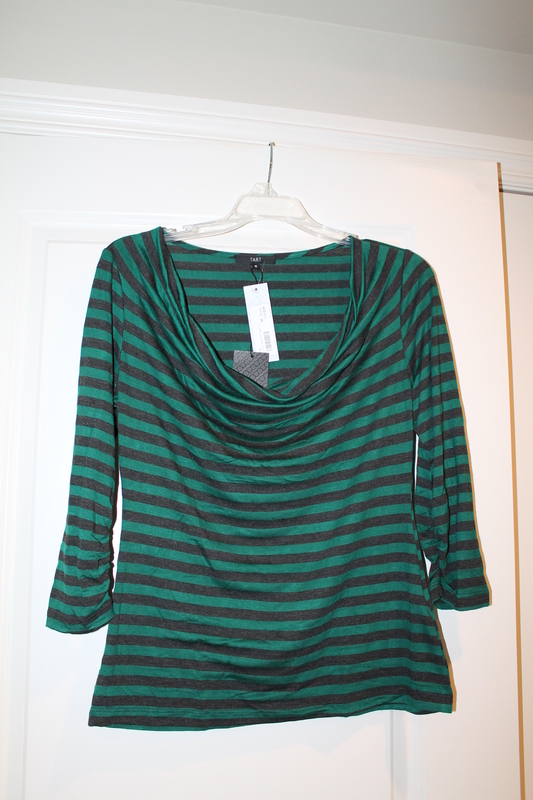 The colors were nice, the fabric was soft, and I liked the cowlneck with a short necklace. Definitely keeping this. This was by far my favorite item in this fix. 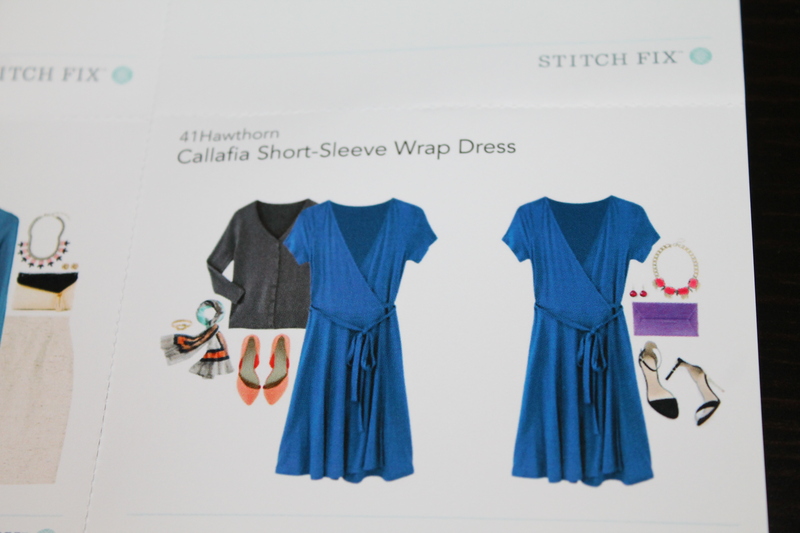 I love the color of the dress and the cut is perfect for work. I love the full skirt and how feminine I feel wearing this. These are probably not the shoes I’d end up wearing with it, but these happened to be close at hand so I threw them on. 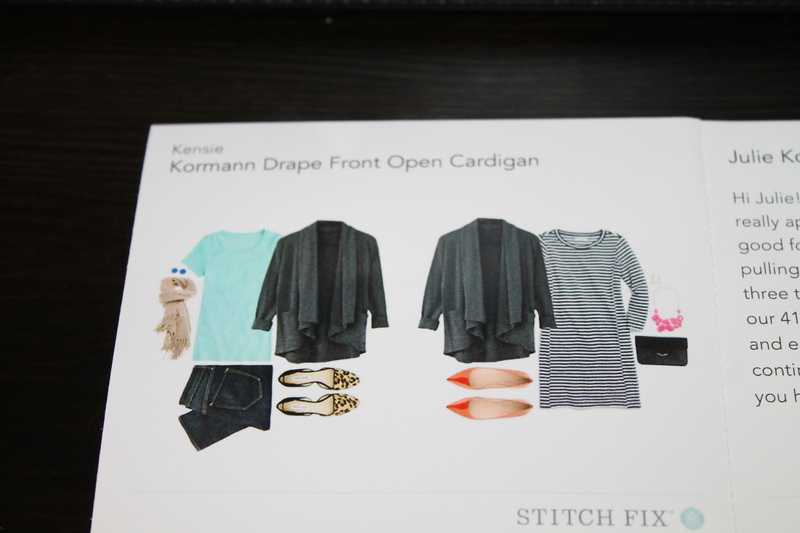 As I’ve stated before, I really don’t love drapey cardigans and just don’t feel that they work well with my figure. They do nothing to define my waist, and end up emphasizing my widest area. 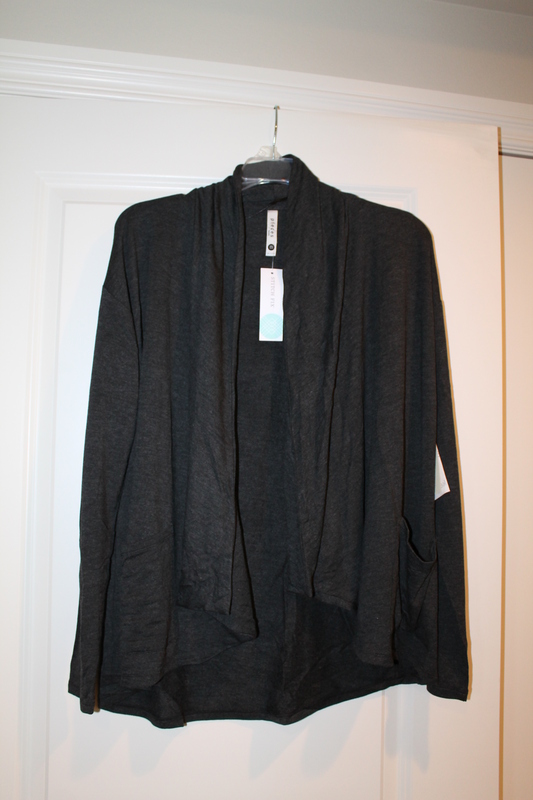 Despite that, this cardigan was made of a super soft material, and a nice neutral grey tone. 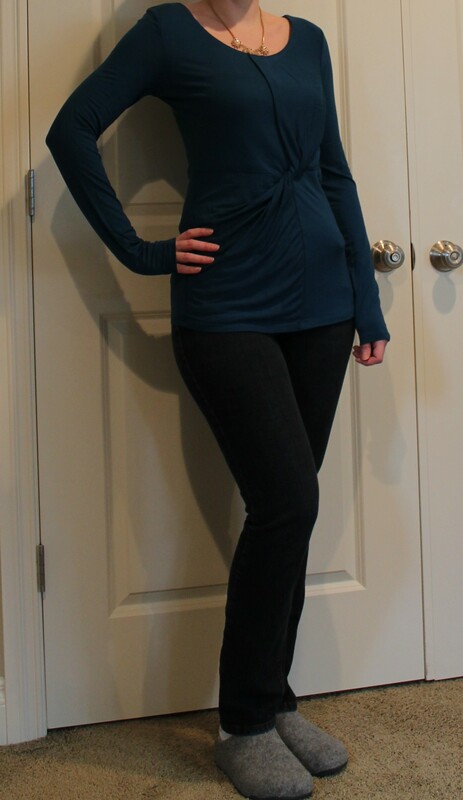 It felt so cozy on that I figured I might wear it on a weekend or maybe to work over a more fitted top. 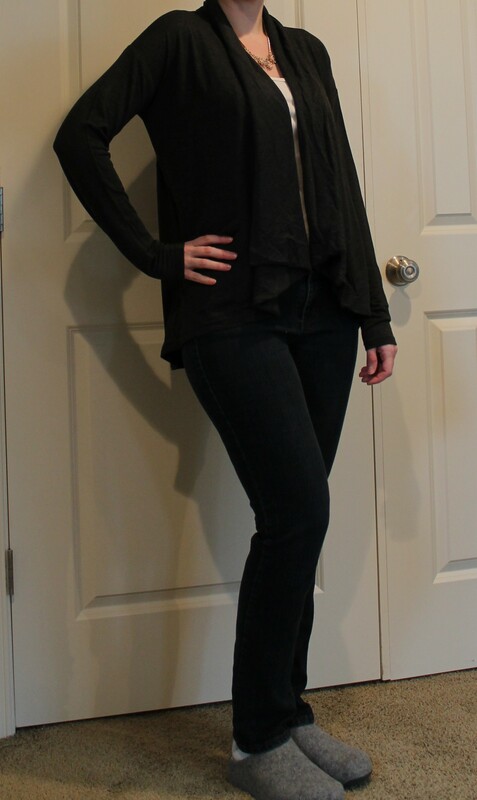 I did request that she send no more drapey cardigans since I have more than enough now, and I don’t particularly like the way they look, but for now I’m keeping this one since sending it back would have cost me the 25% discount. Overall, I decided to keep everything in this fix in order to get the 25% discount. Without the discount, the individual pieces were way too expensive for what they were. 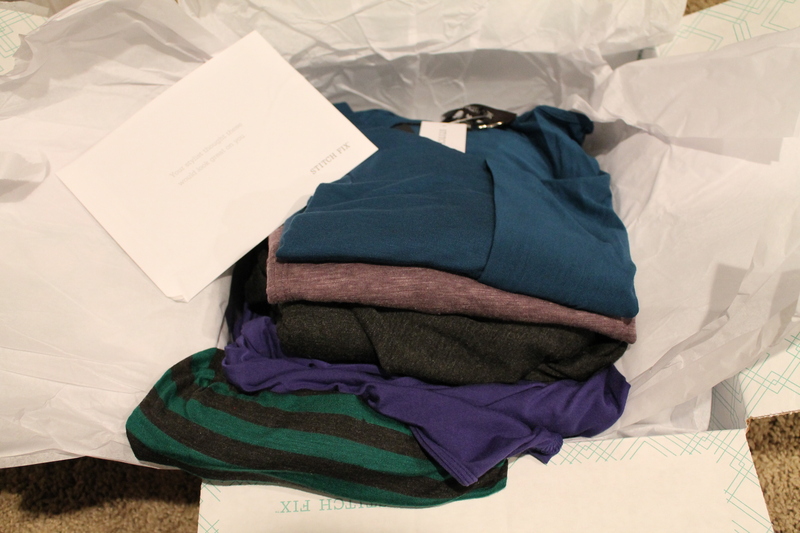 The fabrics were ultra soft and comfortable, and the colors were soft and muted which I really liked. 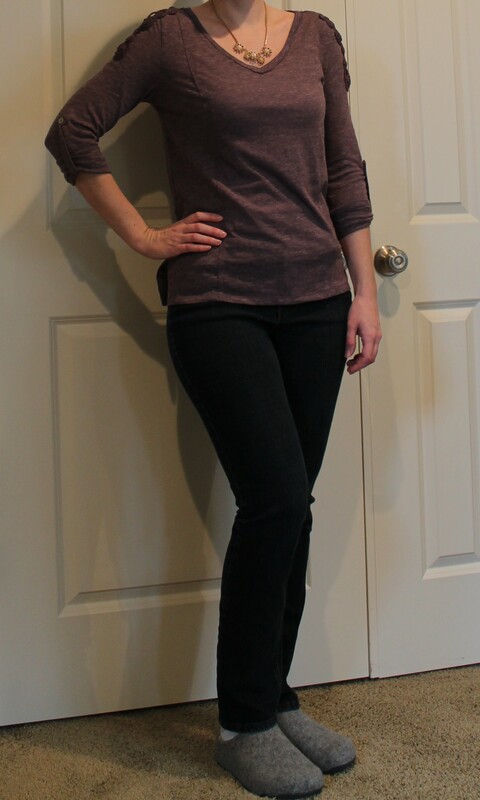 I hope to see more color in my March fix now that spring clothes are starting to come out in stores, but for now I’m happy to wear the muted winter colors. 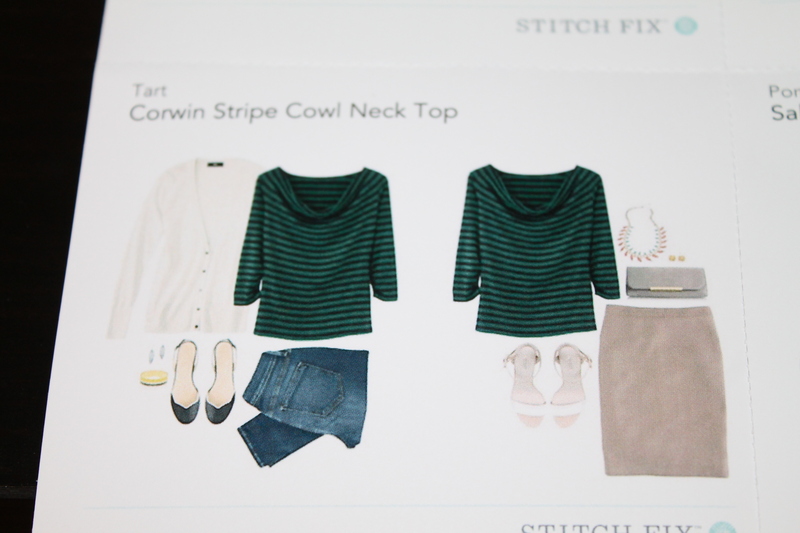 If you enjoy reading my stitch fix reviews and would like to sign up, please click here to use my referral code. Thanks!